9 US government departments have been hit by the ongoing shutdown. The Senate will now vote Thursday to seek a solution. 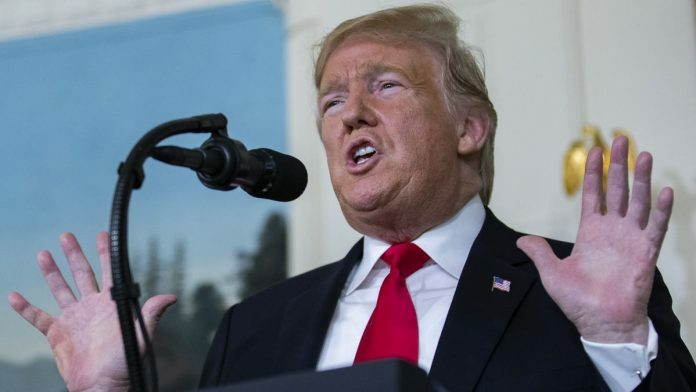 The partial US government shutdown reached an unprecedented 33rd day Wednesday, even as no solution appeared to be in sight with the standoff between President Donald Trump and the Democrats continuing over the $5.7-billion wall along the US-Mexico border. Every year, the US Congress passes certain laws to fund the federal government and the President then gives his nod for the budget for the next fiscal year. Under a partial shutdown, a number of government departments and agencies are not given the required funding to carry on with their daily functions. While some workers go on temporary unpaid leave (known as furlough), workers who are part of the “essential services” such as border protection, air traffic control and power grid maintenance, among others, are required to continue working without pay. Nine US government agencies and departments have been hit by the ongoing shutdown: Department of Commerce, Internal Revenue Service, National Aeronautics and Space Administration, Department of Labor, Department of Housing and Urban Development, Department of Education, Department of Energy, Environmental Protection Agency and Food and Drug Administration. The current shutdown became the longest in US history on 12 January, when the deadlock entered its 22nd day. While the Congress has passed the budget for a few departments, it has not done so for these nine departments, which together employ 800,000 workers. Out of these, about 380,000 have been furloughed, while some have been working without pay for over a month now. Such is the level of despair that some have even started resorting to crowdfunding, reported BBC. On 11 December last year, Trump had heated exchanges with Senate Minority Leader Chuck Schumer and Nancy Pelosi, former House Minority Leader, who is now House Speaker, in full media glare. The President had then warned that if he is unable to get the funding for the wall, he will shut down the government. Within 10 days, he came good on his word. The wall, which formed a crucial part of Trump’s poll campaign, does not enjoy much support from common Americans either. But Trump believes it has to be done for the larger national security of the country. The wall remains crucial for Trump as he eyes a second term as US President in the 2020 elections. Trump describes the situation as a “growing humanitarian and security crisis at our southern border”. So, backing down on his poll promises at this juncture may be costly for his image and for the Republicans at Capitol Hill as well. According to a new POLITICO/Morning Consult Poll, Trump’s disapproval rating reached an all-time high, as 54 per cent of voters blamed the Republicans, especially Trump, for the government shutdown. The Council of Economic Advisers of the White House also stated last week that the shutdown was beginning to have dire economic consequences, even as they slashed the quarterly economic growth by 0.13 per cent for every week the shutdown continues. Last Saturday, Trump offered to make a deal with the Democrats — the Bridge Act. The act seeks to extend temporary legal protections for ‘Dreamers’ under the DACA (Deferred Action for Childhood Arrivals) programme that gives temporary protection to immigrants who arrived in the US as children and without proper documents. Trump offered to give them a three-year protection from being deported. However, his offer was turned down by Pelosi, because it would be a temporary solution for the immigrants who are now facing an imminent situation of deportation. “Unfortunately… his proposal is a compilation of several previously rejected initiatives, each of which is unacceptable and, in total, do not represent a good-faith effort to restore certainty to people’s lives. It is unlikely that any one of these provisions alone would pass the House, and taken together, they are a non-starter,” Pelosi said Saturday. The Senate will now vote Thursday to seek a solution to end the shutdown. It will discuss a pair of bills, which if passed, can put an end to the stalemate.